Blowout Sale! 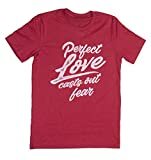 Up to 62% off on Tops & Tees at Fdccla, Page 8. Top brands include Peace Love World, For Love & Lemons, Comical Shirt, Cashmere In Love, Thread Tank, Karen Kane, Lock and Love, DUTUT, Generation Love, Love Moschino, Rfecccy, Love Stitch, Free People, The Kooples Women's, & Crazy Cool. Hurry! Limited time offers. Offers valid only while supplies last.